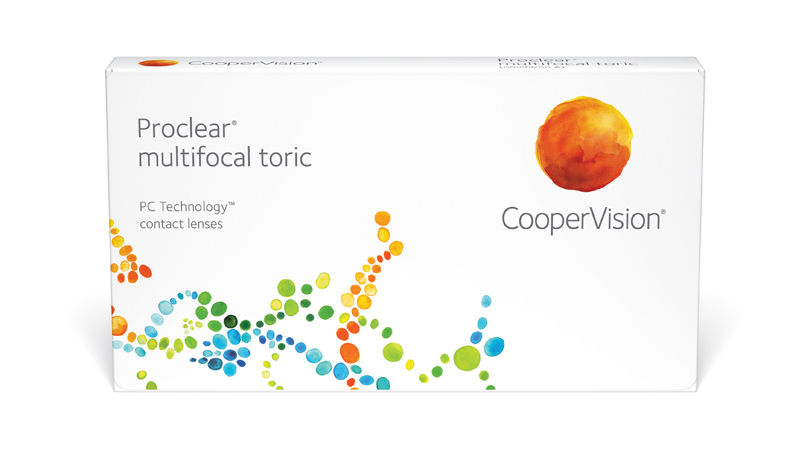 CooperVision® Proclear® multifocal toric lets today’s growing number of astigmatic presbyopes enjoy great vision at every distance. And these lenses provide your practice with a value-added, one-of-a-kind lens fitting. Featuring Balanced Progressive™ Technology, Proclear multifocal toric lenses combine spherical and aspheric optics and unique zone sizes to produce a "D" lens for the dominant eye and an "N" lens for the non-dominant eye. These two lens designs work together to maximize binocular visual acuity at all distances—near, intermediate and far. And the Proclear multifocal toric lens fitting guide gives you an easy, three-step approach to fitting your patients. Proclear multifocal toric lenses are made using our exclusive PC Technology™ manufacturing process. PC Technology leads to a more comfortable lens-wearing experience—especially important to presbyopic patients whose eyes often grow drier due to age. In fact, Proclear is the only multifocal lens cleared by the FDA for the claim: "may provide improved comfort for contact lens wearers who experience mild discomfort or symptoms relating to dryness during lens wear."